Water pump size for Universal 5432. note from Westerbeke on 17 July 2002 in response to my inquiry as to how much flow I should see from the Oberdorfer pump. . 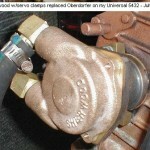 THE FLOW RATE FOR THE OBERDORFER PUMP IS 3 – 3 1/2 GALLONS PER MINUTE AT RATED ENGINE SPEED OF 2800 RPM. I DO NOT HAVE ANY CURVE TO SHOW ME WHAT THE PUMP WILL DO AT VARIOUS ENGINE SPEEDS. THE CURRENT PUMP USED ON THE UNIVERSAL MODELS DELIVERS APPROXIMATELY 6 – 7 GALLONS PER MINUTE AT RATED ENGINE SPEED. I AM SURE IT WOULD BE AN IMPROVEMENT OVER WHAT YOUR PRESENT PUMP IS DOING AS FAR AS COOLING. 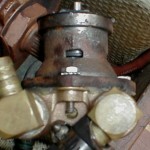 A KIT IS AVAILABLE TO MOUNT THE CURRENT PUMP ON YOUR ENGINE IN PLACE OF THE OBERDORFER. 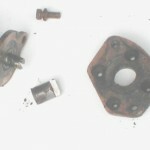 KIT PART #302837. THE KIT CONTAINS THE NEW PUMP AND MOUNTING HARDWARE. UNIVERSAL SOME TIME BACK BEFORE WESTERBEKE PURCHASED THE COMPANY INCREASED THE SIZE OF THE HEAT EXCHANGER ON YOUR ENGINE MODEL FROM A 2 INCH DIAMETER TO A 3 INCH. THIS WAS DONE TO IMPROVE COOLING AS WELL. I WOULD RECOMMEND YOU INSTALL THE KIT CONTAINING THE CURRENT NEW PUMP AND SEE WHAT RESULTS. Longer 1/4-20 screw worked for now.. There is an easy upgrade for the water pump at http://www.moyermarine.com/upgrade.htm here is an copy of the text on their site. 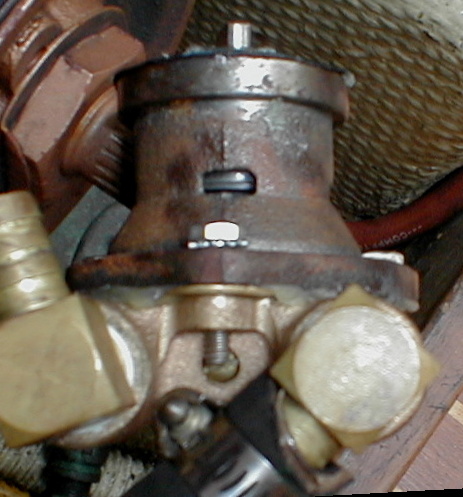 The Oberdorfer Model 202M3 is the most common water pump used on late model Atomic 4 engines. Universal installed this pump on all their new engines, starting in the late 1960’s and continuing until production ended in the mid 1980’s. 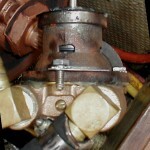 The pump has proven to be very reliable and easy to service. Our suggestion is to consider upgrading your existing pump to an Oberdorfer 202M7 whenever it comes time to rebuild or replace your current model. The 202M3 and the 202M7 are identical except for the thickness of their cam shoes. The 202M7 cam shoe is approximately 50% thicker than the one used in the M3, which enables the M7 to produce considerably more flow over most of the operating range of the Atomic 4. At 1750 RPM, the M7 provides a consistent 6 gallons per minute (GPM) from 0 through 9 PSI back-pressure. At the same RPM, the M3 performance starts out at 3.75 GPM (at 0 back-pressure), and by 9 PSI the flow drops to 2.5 GPM. As pointed out in our Service and Overhaul Manual, the increased flow of the M7 seems to benefit engines which) have “less than completely clean and open cooling systems.” Our customers have been choosing the 202M7 model almost exclusively for over 12 years, with only positive results being reported. 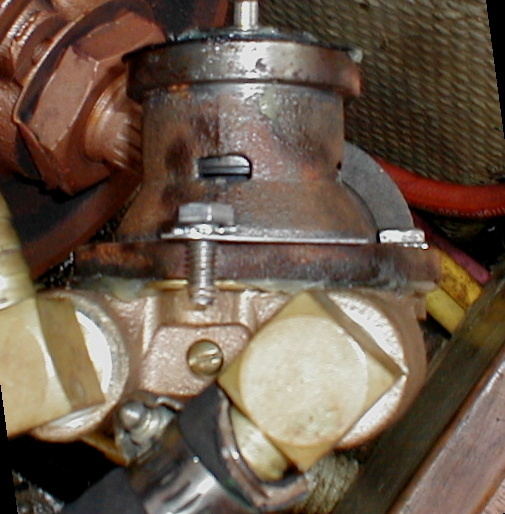 Cam shoes are held in place by a single machine screw installed through the top of the impeller chamber. Therefore, an M7 cam shoe can easily be installed in 202M3 pumps during rebuilding, with no other modifications necessary. 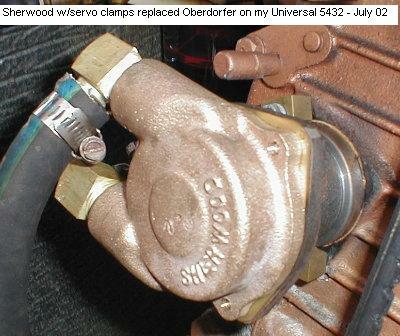 We stock new Oberdorfer pumps and a complete inventory of individual parts, including M7 cam shoes. Click here to visit our online catalog and view these items.